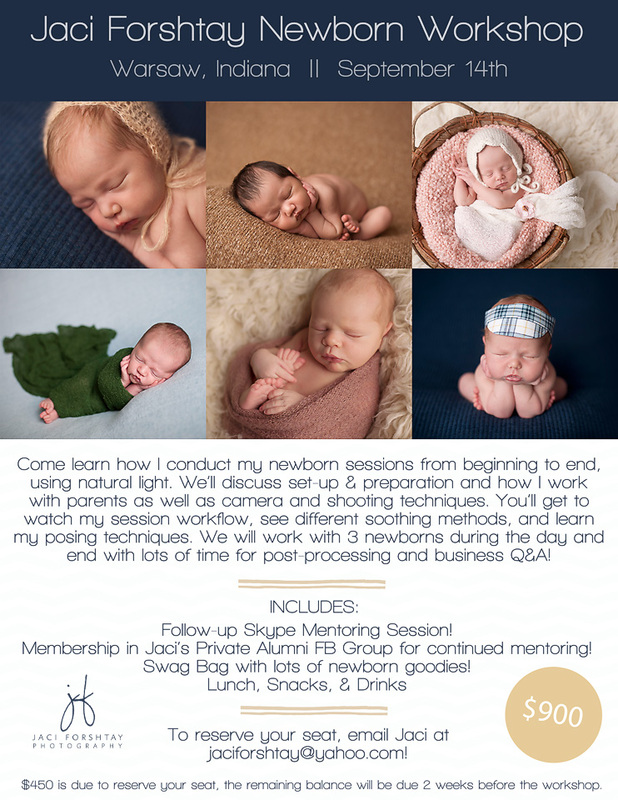 Making the official announcement that I’m filling seats for my Newborn Posing Workshop here in Warsaw, IN on September 14th! I’m limiting this workshop to just a few photographers to keep the learning environment intimate. Can’t wait to meet the attendees!